Iselin, NJ, May 22, 2017	(Newswire.com) - Let’s question the status quo. Smart Robotic Automation is an alternate to Offshore Business Process Outsourcing in many ways and a complement to BPO in others. But it certainly beats the classic “labor arbitrage only” model, as you keep control of your Business. This new paradigm requires strategic new partnerships with companies that do not carry the traditional BPO baggage. Similarly, Business Process Management (BPMS) as a methodology and as an automation technology has been around for over a decade. However, BPMS market penetration has been mostly at larger Enterprise levels due to the complexity, costs and implementation timeframes. RPA in some ways is a complement to BPM implementations, but in other ways, it is an alternative for companies that consider BPMS Automation too complex, intrusive or costly. BPMS does have a huge role to play within a larger Enterprise, because it enables automation of complex workflows and dynamic rules, whereas RPA Technology can address quick automation challenges. BPMS sometimes is marketed as a “low code” platform whereas RPA is marketed as “no code” platform by only operating at the UI or “Surface” levels. RPA can also be considered for shorter term Enterprise Integration by using surface level automation for systems where writing lower level API code is too complex or not available. However, RPA may not be a solution for situations where real-time synchronous integration is required, since exception paths may require human intervention. Many Business Process Automation challenges require processing of not only structured data but also semi-structure and/or non-structured data — for example, when determining the next possible step in a workflow is dependent upon understanding natural language (emails/chats or spoken language) or extracting meaningful data from unstructured documents (contracts, invoices etc.). This is where the new breed of AI and Machine Learning Technologies can be utilized to drive higher levels of business productivity. This, however, requires that a considerable amount of historical “training” data be available so the machine learning algorithms produce results with a higher level of confidence. AI/ML algorithms have shown success in real time data analysis and predictive analytics use-cases. However, we do not currently see NLP AI at a point where it can be definitively used to ascertain intent to process consequential next steps without human intervention or confirmation of intent. Applications of NLP AI are currently limited to sentiment and customer service requests once the customer confirms that the interpreted request is accurate. Either way you look at it, RPA will have much further reach into the market than just the larger Enterprises. The lower cost, shorter implementation time cycles and less technologically intrusive nature of RPA positions itself to be as ubiquitous as Cloud and SaaS based technology. Robots can easily be deployed within a large Enterprise and/or SMB. Obviously, each deployment requires upfront feasibility analysis, established Governance and IT Security procedures and standards and an overall Automation strategy. At AutomateWork, we guide our clients on how they can automate Business Processes using RPA, BPM, AI and Cognitive technologies. We invest in R&D to develop and use Artificial Intelligence models that make the Robots do much more than just repetitive rules-based tasks. To get in touch with AutomateWork and see how disruptive technologies can work for your enterprise, visit our website at https://www.automatework.com/ or contact info@automatework.com. 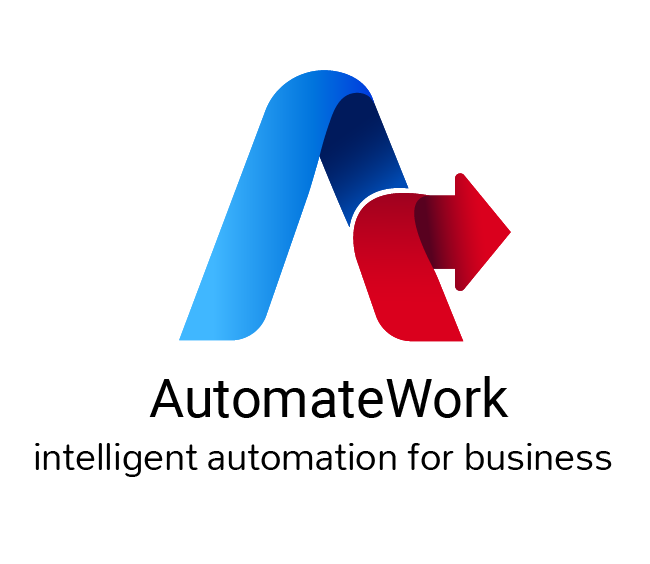 At AutomateWork , we guide our Clients on how they can automate Business Processes using RPA, BPM, AI and Cognitive technologies. We invest in R&D to develop and use Artificial Intelligence models that make the Robots do so much more.